We have been locked in fruitful but intense discussions with the intention of resolving the ongoing impasse in the city. We do this knowing that the amount of money we will be committing to any agreement is coming from you as residents of the metro, through rates and taxes. We want to firstly appreciate the patience showed in the period of the strike, even during moments where electricity and water was illegally terminated for some parts of the metro. I want to once more apologise to residents and business for the destruction of services. The vandalism and violence that characterised the strike deserves the harshest condemnation and still believe that the people who committed criminal acts should be brought to book. We have always emphasised the point that we are committed to resolving all the issues that led to the strike in a manner that is sustainable for the city. It is our view that finalising a worker strike to the detriment of development for the citizens and the ratepayers is an automatic creation of a massive strike by the people of the metro. We are making this point because our commitment for the development of the city is done through a careful balance between keeping the necessary levels of morals in our staff in order for them to do their work whilst implementing developmental projects. We therefore aim to remunerate our workers well but not to the detriment of service delivery. The municipality will start a process of absorbing all 365 temporary employees, starting with the ones that are in vacant funded positions. Currently there are approximately 365 temporary employees and the absorption of those in funded posts will not require additional budget. The amount of money to be spent on the absorption of temporary employees amounts to R61 million per annum. This will see these workers getting the municipality’s contribution on pensions, medical aid and life cover. The Local Labour forum discussed a demand by the South African Municipal Workers Union for a payment of a bonus on Salary 2, which was a result of a collective agreement concluded in March 2017 for the standardization of salaries. We have agreed that the bonus will be paid on Salary 2 with effect from December 2018 onwards. The amount will be payable in the anniversary month of employees. The payment of the Bonus on Salary 2 is estimated to cost approximately R18 million per year. With regards to the implementation of Job Evaluation, we have agreed that the process will be expedited with the first batch subject to be released in December. The payment on the Job Evaluation results will be given effect from the adjustment budget that will be made in February 2019 and in subsequent financial years, a specific budget line item on implementation of job evaluation will be budgeted for. The implementation of the first job evaluation results will be implemented with effect from 1 November 2018 to June 2019 and back payments will be made from March 2019. The back payments for those will be done from the 1st of July 2015. We noted the demand of the workers regarding the payment of a once-off amount of R100 000 and the claim that this is intended to address the delay of the Job Evaluation process. We held a firm view that the payment of such an amount will not be affordable for the municipality. After deliberations and with the interest of ending the impasse we made a proposal of a once-off payment of R10 000. This was finally accepted by the municipality and it will cost an amount of about R60 Million. These are the outcomes of our discussions with the unions and we are happy to announce that at their meeting this morning, both Imatu and SAMWU accepted these outcomes of the Local Labour Forum with certain conditions. We spent our last meeting with the union throughout the afternoon addressing the conditions that have been placed by the workers in order for them to sign the final agreement. 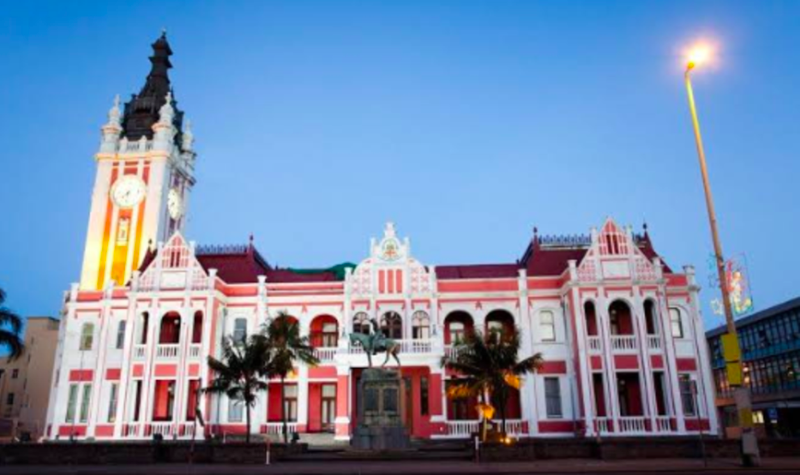 Overall the agreement will cost the municipality an amount of around R200 Million and some of the costs will be recurring in the subsequent financial years. We are highlighting this figure in order to indicate the gravity of the decision and this explains why the process took time to be finalised. All the issues will be taken to the council of our metro for finalisation. We once more want to apologise to the people and business of Buffalo City Metro for the inconvenience, tension and strain that the strike caused in our city. We are now at the final stages of finalising the agreement with the unions having their last meeting tomorrow with a commitment to formalising the agreement by tomorrow afternoon. This means that with effect from this weekend, we will be restoring all of our services to full operation. We will work overtime to clean our industrial and residential areas across the city. Our call centre and our fault log lines will be fully operational, and we will be attending to issues of residents. We will work over the clock to ensure that a situation of this nature is avoided in future. We are still committed to ensuring that this festive season, all our people enjoy consistent service provision and the creation of an entertainment scene. Together with our workers, we will make Buffalo City, a city to be in this festive season and a ‘Capital of Fun’. We once more thank you for patience and we plead that you enjoy the festivities that come with this period of the year with care. Drive Safe and be Responsible, our Country and City needs us next year. We remain a city A City Hard at Work: Making Service Delivery Fashionable!